Many leaders understand the importance of succession planning to the long-term success of their organization, but most companies do not have a solid succession plan. It can be difficult to convince a senior management team to focus their time and resources toward succession planning. The following workbook will provide you with the information you need to get buy-in from your management team. For form fill-able versions of these worksheets, visit our Succession Planning template library. Once you’ve gained the interest and buy-in from your senior management team, check out our helpful Succession Planning checklist to assess the maturity of your current succession planning process. Then, try our At-A-Glance Succession Bench activity to get a quick sense of how well your company has succession planned for critical roles. Next, download our SIMPLE Succession Planning Guide to help your company design their own custom succession plan. 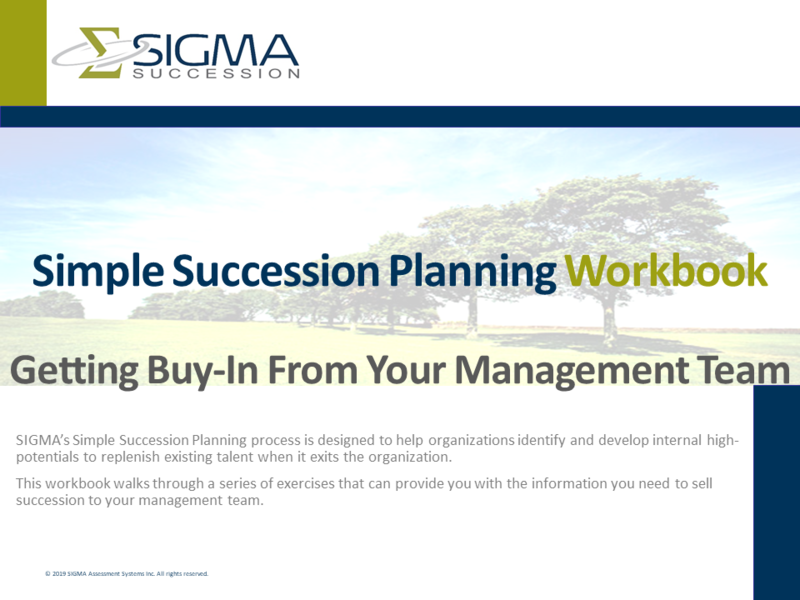 Feel free to contact us to learn how SIGMA can deliver your company a custom Succession Plan in just 30 days with our Succession Planning Launch Series Workshops.